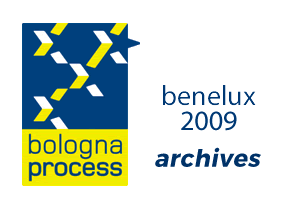 This section has been developed in 2009 by the Council of Europe, the Bologna Secretariat and the Coordination Group on Qualifications Frameworks to provide important information on qualifications frameworks, which have become an essential instrument in developing the European Higher Education Area (EHEA). A qualifications framework encompasses all the qualifications in a higher education system – or in an entire education system if the framework is developed for this purpose. It shows what a learner knows, understands and is able to do on the basis of a given qualification – that is, it shows the expected learning outcomes for a given qualification. It also shows how the various qualifications in the education or higher education system interact, that is how learners can move between qualifications. Qualifications frameworks therefore focus on outcomes more than on procedures, and several learning paths – including those of lifelong learning – may lead to a given qualification. Qualifications frameworks play an important role in developing degree systems as well as in developing study programmes at higher education institutions. They also facilitate the recognition of qualifications, and they are important for those who make use of qualifications, in particular learners and employers. In the European Higher Education Area, qualifications frameworks are found at two levels. An overarching framework has been adopted for the EHEA in 2005; and by 2010, all member countries will develop national qualifications frameworks that are compatible with this overarching framework. In this sense, the overarching framework sets the parameters within which each country will develop its own national framework, and it is the national framework that most directly affects study programmes. We adopt the overarching framework for qualifications in the EHEA, comprising three cycles (including, within national contexts, the possibility of intermediate qualifications), generic descriptors for each cycle based on learning outcomes and competences, and credit ranges in the first and second cycles. We commit ourselves to elaborating national frameworks for qualifications compatible with the overarching framework for qualifications in the EHEA by 2010, and to having started work on this by 2007. Qualifications frameworks are important instruments in achieving comparability and transparency within the EHEA and facilitating the movement of learners within, as well as between, higher education systems. They should also help HEIs to develop modules and study programmes based on learning outcomes and credits, and improve the recognition of qualifications as well as all forms of prior learning. We note that some initial progress has been made towards the implementation of national qualifications frameworks, but that much more effort is required. We commit ourselves to fully implementing such national qualifications frameworks, certified against the overarching Framework for Qualifications of the EHEA, by 2010. Recognising that this is a challenging task, we ask the Council of Europe to support the sharing of experience in the elaboration of national qualifications frameworks. We emphasise that qualification frameworks should be designed so as to encourage greater mobility of students and teachers and improve employability.